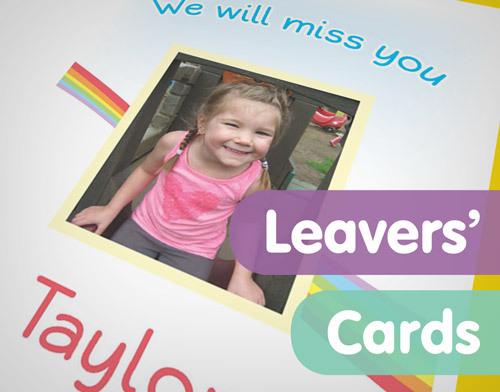 Nursery Leavers' Books - the perfect way to say goodbye to your leavers! Nothing will put a bigger smile on your children's faces than a gift that is personal, thoughtful and unique. 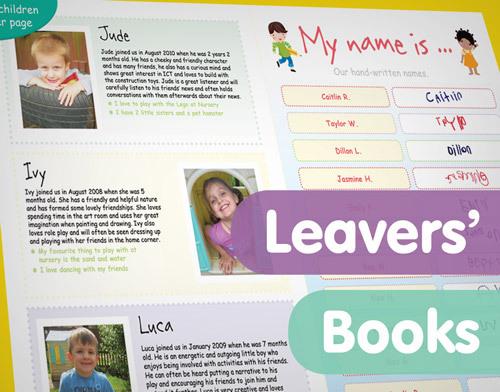 Leavers' books are the ideal way of saying goodbye to your leavers. 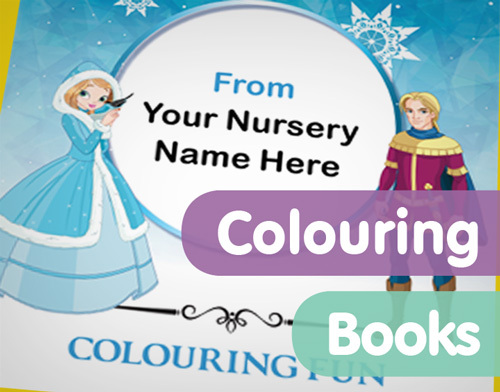 They are full of wonderful photos of your nursery and lot’s of the amazing memories you made. 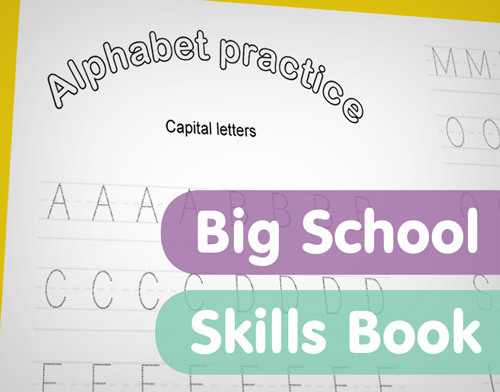 Big School Skills Book – educational, unique, and fun! 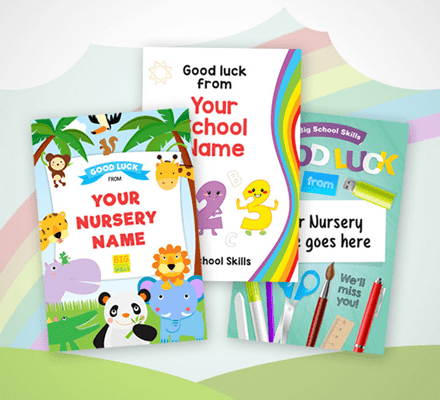 A fantastic way of ensuring that your leavers are ready for the next step on their schooling journey.Big school skills books are full of fun and educational activities, and are personalised to your setting. I must say, I am very impressed with our Nursery Leavers' Books, your company and the whole process - thank you! Bubbles Nursery | Read more testimonials here.